The Call Care Program Service is a FREE telephone reassurance service designed to enhance the quality of life for older adults, or adults with disabilities, who live alone or who are at risk of sudden illness, falls, accidents, and/or social isolation. Through the service, the Yancey County Sheriff’s Office places a daily call to each person enrolled in the program. If no response is received, a Deputy is dispatched to the residence to ensure the person’s safety. If subscribed to the Call Care Program, officers will be calling each subscriber daily, seven days a week, and 365 days a year. To ensure your loved one is safe and secure. If the subscriber does not answer the phone the Sheriff’s Office will try to make contact with that person or key holder to check on the subscriber. If they cannot make contact, a law enforcement officer will be dispatched to their residence. If the subscriber is not going to be home at the time of the call (out of town, doctor’s appointments, etc. ), they will be asked to call the sheriff office to leave a message indicating they will not be home. It is important to note that Call Care Program is not intended to take the place of Lifeline, Lifephone, or any other service that one might currently be utilizing. In fact, we urge people to use those services in addition to Call Care Program. Anyone interested in signing up for Call Care Program is asked to fill out a short form which includes personal, medical and other information which law enforcement may need in the event of an emergency. 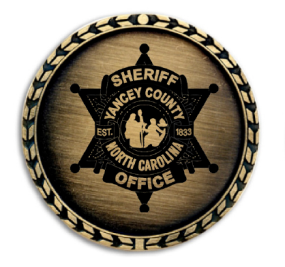 All information will be kept confidential and secure at the Yancey County Sheriff’s Office. A waiver of liability is also required to be completed and signed.